Let's start with something I heard rumblings of back in November, but didn't think to look up until now. 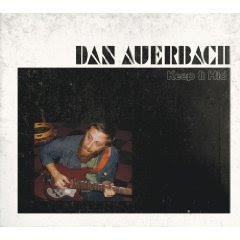 Dan Auerbach, the singer/guitarist half of Akron, Ohio's very own Black Keys, will be releasing his very first solo album on February 10. Entitled Keep It Hid, the record is a collection of 14 songs which Auerbach wrote while touring in support of the Black Key's Attack & Release. A few tracks from the record have made their way onto the internet, all of which you can find conveniently grouped on Nonesuch's website. These tracks reveal that Auerbach is content to not stray too far from the sound established on Attack & Release. "I Want Some More" sounds like a Black Keys song, albeit one that has been fleshed out with organ and bass like many of the songs on the band's last album were. It's kind of baffling as to why Auerbach felt he needed to go solo to do these tunes justice, but the results speak for themselves. It should be a great way to tide yourself over until the next Black Keys record. 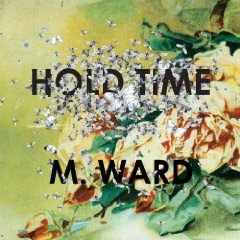 NPR has posted yet another full-album stream, this time of M. Ward upcoming solo record Hold Time. The follow-up to 2006's acclaimed Post-War will be available on February 17 via Merge Records. From the sound of it, this one doesn't stray too far from the formula that helped Ward's previous solo project, and his most recent work with Zooey Deschanel in She & Him. Arrangements are sparse, and feel like recordings from another era entirely; a style that Ward has really built his reputation on. After a single listen through, my favorite moment on the album is Ward's cover of Buddy Holly's "Rave On", which takes Holly's fairly tame party-tune and slows it down to a crawl, simultaneously deconstructing and reinvigorating it. With any luck, Ward's newest release will get the same level of much deserved attention his last few have. 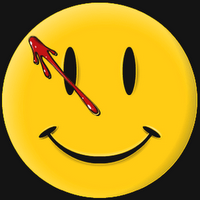 Finally, last Thursday brought an end to the legal battle between Warner Bros. and Fox over rights relating to the Watchmen movie. Fox will be getting a cut of the gross from the film and all related merchandising activities. The details of this settlement seemed to suprise no one, but fans the world over definitely let out a collective sigh of relief. This firmly cements March 6, 2009 as the date of release for arguably one of the more exciting motion pictures of the year. The marketing blitz, which I think was slighty delayed as a result of this legal battle, will now likely go into overdrive. Snyder promised another theatrical trailer before the movie's release, and there seems to be no better place for a premiere than during the Super Bowl. I'll be doing as much posting as I can regarding this movie in the coming weeks.